Just moving down the street can be stressful. But, moving to a different country takes things to a whole other level. You will need to find an expert to help you navigate the process and handle all of the different logistics of getting your belongings packed up safely, shipped across the ocean and delivered to your new destination. You will need the help of an international shipping company. However, not all of these companies are the same. When considering a company to help you with your international move, you need to ask them these seven questions. If your international shipping company can’t answer these questions you need to find a business with the experience and expertise to help you with your move. How Much Experience Do They Have With International Moving? Not all international shipping companies have experience with international moving. Shipping factory widgets and relocating an entire household require different skill sets. You want to make sure that the international shipping company you are working with knows what it takes to safely pack, transport, and deliver your household items overseas. What Costs are Involved in International Moving? If you have never dealt with an international move before, you might be surprised by all of the different steps and costs involved. If you have moved internationally before, you will want to avoid getting stuck with hidden fees and surprise costs. When you are getting an estimate from an international shipping company for your overseas move, makes sure you understand what their quote covers. Does it cover packing, shipping, and delivery? What other costs will you have to pay? You will need to know how things like tariffs and duties will be handled. International shipping is complicated. But, that doesn’t mean the pricing shouldn’t be transparent. Who Packs the Shipping Container? International moving means you have to do more than just box up your belongings and load them into the truck. You will need your items crated and packed into a shipping container. Make sure you know how the packing of the shipping container will be handled. Some companies expect you to make these arrangements. You want to use an international shipping company that takes care of every stage of the shipping process. Who Arranges the Pickup and Shipping of the Container? Just because a company calls itself an international shipping company, doesn’t mean that actually handle all of the stages of international shipping. 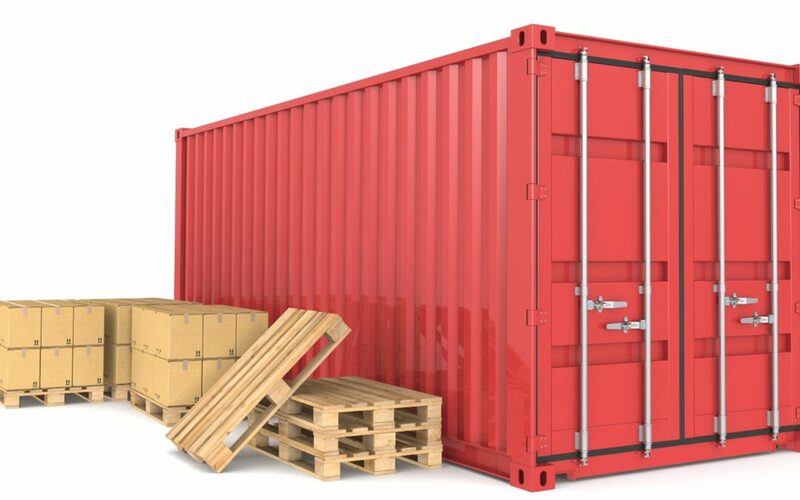 Just like with loading the shipping container, you will want to make sure that the company will also arrange for the pickup and shipping of the container. Otherwise, you may get to your new destination only to find out your shipping container is still in your driveway back Maryland or Virginia. How Do You Make Sure All of My Stuff Will Arrive Safely? Every person who has ever had to move overseas has the same fear. What if my stuff is completely destroyed? You deserve to know what steps the company will take to make sure your items survive the trip. This means making sure the people doing the packing are trained in the best ways to protect your belongings, especially any antiques or furniture. The best international shipping companies will even build custom crates to make sure that your items arrive at your destination in the same condition as when they were first packed up. Where Will My Stuff End Up? Ideally, you will want your belongings to show up at your new overseas residence. But, some companies and some countries will only allow your household goods to be shipped to the port of entry and other arrangements will need to be made to get them to your destination. You need to know these details so you can properly plan and make the necessary arrangements. Why Choose Them Over Other International Shipping Companies? Never be afraid to ask a company what makes them better. You want to know that you are dealing with a company that is confident in their services and offers clear advantages over the competition. This could mean anything from offering the cheapest shipping overseas to specializing in shipping to a particular country or region. If a company can’t give you a good reason to hire them, you should find someone who can. As always, remember that 1 Stop Pack n Ship is here for all your moving and shipping needs. Whether around the corner or around the world, we will get you there safely and securely. Contact us today for a free quote.